Weekly Recap #254: Happy Holidays! Hey guys, Vilya here! 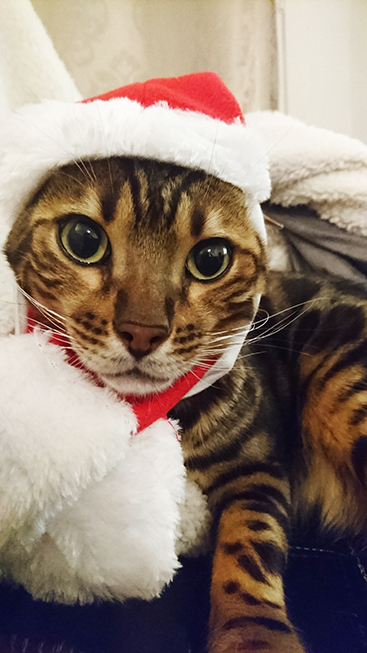 This week it’s time for us Swedes to celebrate christmas! Teddy is already back at his hometown catching up with friends and family and Fred will leave later this week, so it’s time for a little break to recharge our batteries. Before that though, there’s one more weekly recap! Since we live on the island where our gamedev education was held, every year there’s a couple of fun events for us alumni to attend. Last week was one of them: the Alumni Days! The Alumni Days consist of 2-3 days where people who graduated come back to school to hold lectures on what it’s like out there ‘in the industry’, answer questions at a panel, plus attend some parties and dinner(s)! 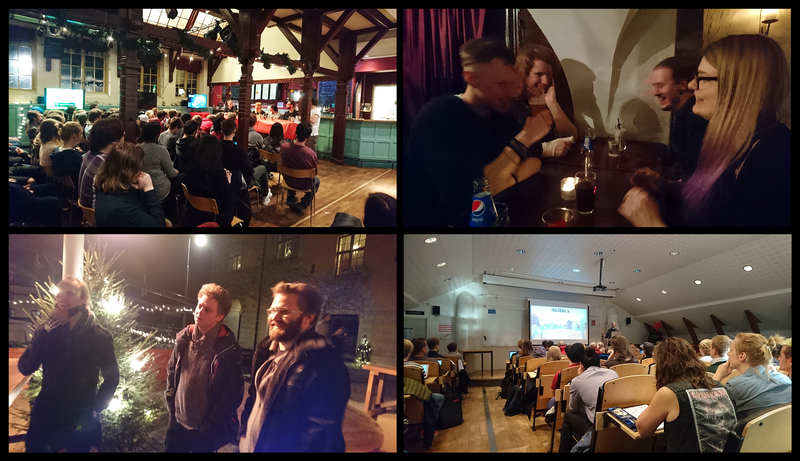 This year’s edition went on from Thursday to Saturday, so there were three days of lectures and hanging out with other devs from our old class (among others)! While living on this isolated island can be quite trying sometimes (everything else is sooo far away), it’s great to be able to meet up with everyone like this and get inspired by other developers. So, this room is a kind of storage/library room where a lot of artifact and treasures will be housed. Because painting all these items will take a lot of time, I decided to split this post in 2-4 parts (depending on how much stuff I end up recording/creating GIFs of). Some of you might remember Professor Pine, the guys behind the “diary entries” of Flying Fortress? Well, time to meet the guy! Actually, you won’t exactly meet him… But you WILL watch him do some talking many years ago, through a flashback orb! What could he be doing in Tai Ming? With my parts of Tai Ming almost being finished, it’s time to start looking ahead and think about what’s coming next. First up, we’re gonna update Arcade Mode, adding the Mt. Bloom and Tai Ming floors (and after that likely spend some time adding bonus things – Housing for example). 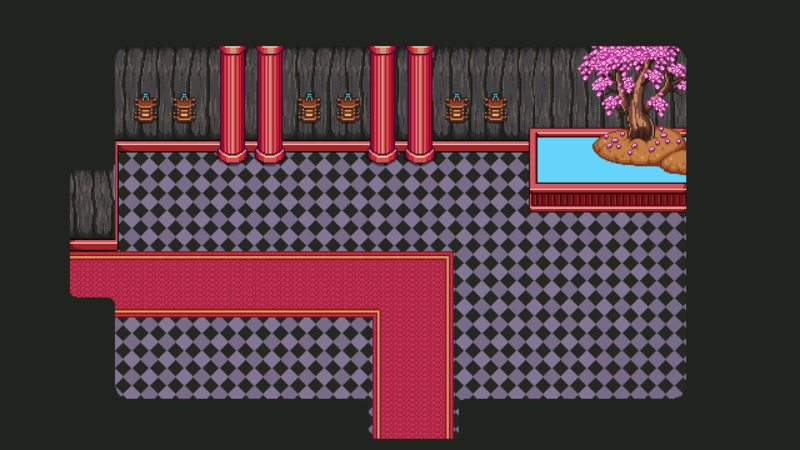 Once I complete the final things for Tai Ming (the final room + cards) that means I’ll be focusing on Arcade Mode backgrounds and a TON of furniture, which will be a lot of fun! After that, it’s finally time to start with the next area… I’ve already completed most of the art for the desert, which is supposed to come after Tai Ming, so for me that means I’ll begin playing around with the harbor town that comes after it. Then there’s only two temples/dungeons left! I can’t believe we’ve actually come this far, haha. Though it’s been 5 years already it feels like we began working on Grindea yesterday. Time flies when you have fun, and working on this game has definitely been a blast from the start! 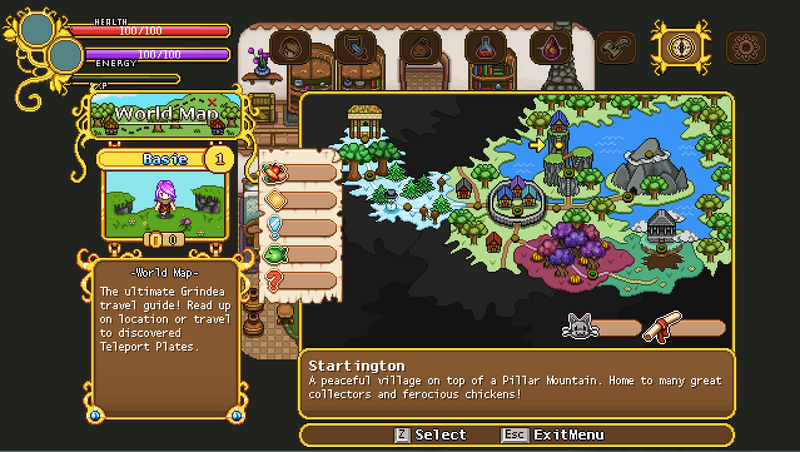 World Map Completion: Based on a suggestion on our forums, we’ve added completion tracking for the World Map! It tells you how many cards, drops, fishes, quests and secrets you have yet to find in any given area. This should help people figure out what it is they’re missing for that juicy 100 % completion! 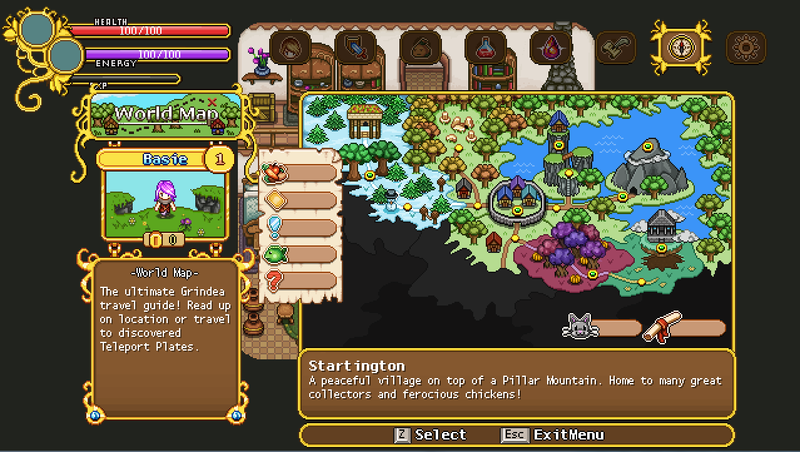 Note that the Achievements and Crafting completion is still tracked via their own menus. Damage Numbers: The new default setting for displaying damage numbers is “Composite”, which turns your damage into one big number per enemy instead of many small numbers. We did this change mainly because some builds dish out so many hits that the old damage numbers cluttered everything, and in multiplayer this happened pretty much regardless of builds. It also makes damage over time a bit more readable, as well as how much damage a flamethrower or blade flurry cast actually does in the end! For people unhappy with this change, there’s a “Classic” option that mimics the old style, as well as an even more streamlined option called “Minimalistic”, and of course… an option to turn off damage numbers completely! HP Bars: Enemies now have HP bars above their heads by default. These appear after an enemy has taken damage, and fade away after a while if no new damage is taken! 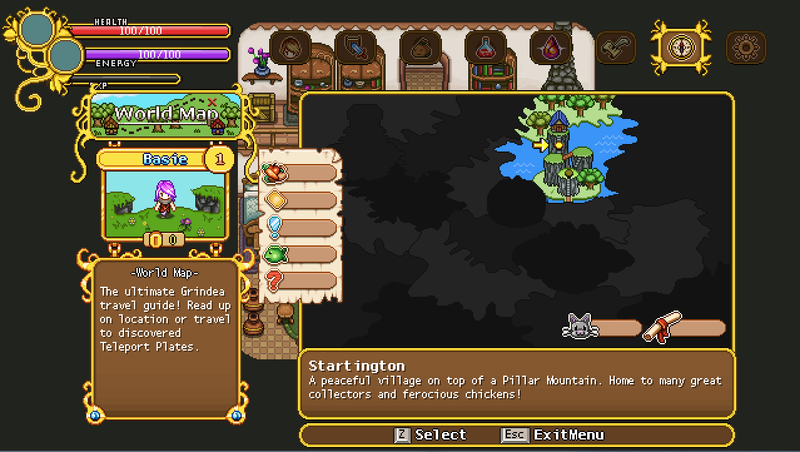 Also, low HP allies in multiplayer also have their HP displayed above their heads. Both of these types of HP bars can be disabled, or set to always appear if an enemy or player is below full HP. 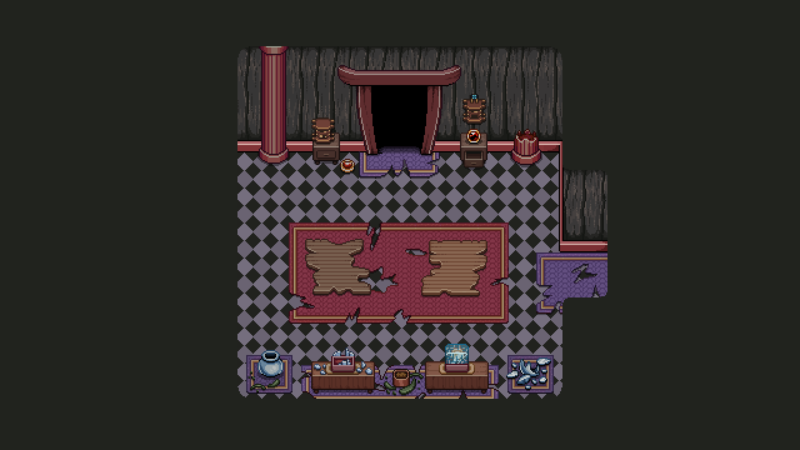 There’s also the accessory shop, among other things (which we already began preparing in last week’s post), and a bunch of new characters! Joining his sister in the store will be this young fellow! Yes, it’s a guy, you know the drill, Vilya can’t draw guys… though I think they do look a bit manlier now…maybe (ignoring the braids)?? As mentioned before, he’d like nothing more than for one of his children to take over his business, but with the daughter setting up a store of her own and his son’s lacking interest… Whatever will become of it?! Now, remember the person entertaining a bunch of artifacts in the first part of Tai Ming? Well, they’re back! Only this time in the second zone! Some of the artifacts have been replaced, and this Helmet appears instead! Not much is currently known about Helmet, but I’m quite sure Teddy has come up with some awesome dialogue for this guy (or girl). I mean, life has to be kind of cool as a helmet, right? Now, as always before a patch, there’s a bunch of smaller things to be edited or fixed! 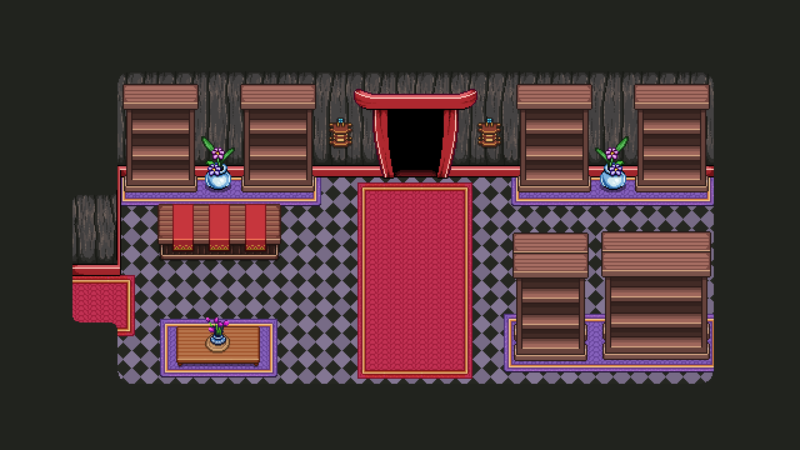 Next up, we wanted the Accessory shop to stand out a bit more, so I was tasked with changing its colors! 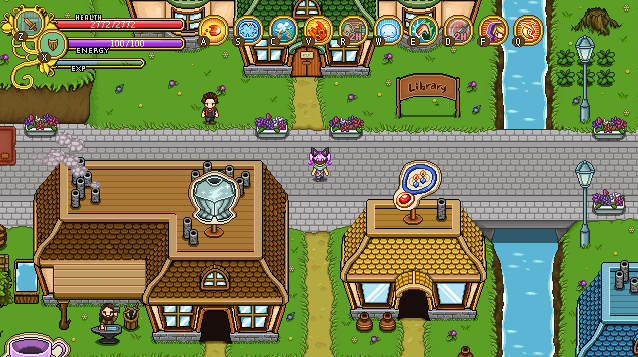 Below is the previous version as well as two color alternatives for the shop. 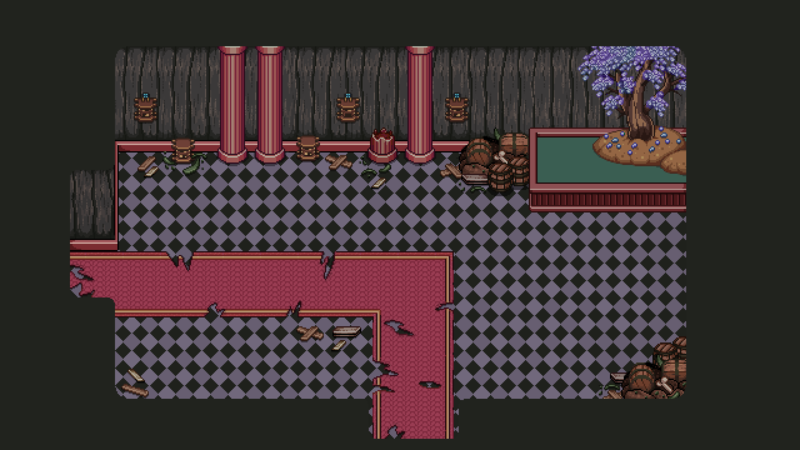 We’ll probably go for the standard wall color, though in the future I might go back and edit the houses in Evergrind City in general.. Who knows what colors the walls will end up having then? Finally……. Back to the third Tai Ming map and that old shrine!! Aside from being a place to battle enemies in the present, this room will also hold another flashback orb, with the people of Tai Ming enlisting the help of the Flying Fortress crew to deal with a certain threat. Weekly Recap #252: Map Additions! This week we continue to prepare things for a mini-patch adding the new features we talked about last week (new damage numbers etc)! So anyway! We have two sets of additions. 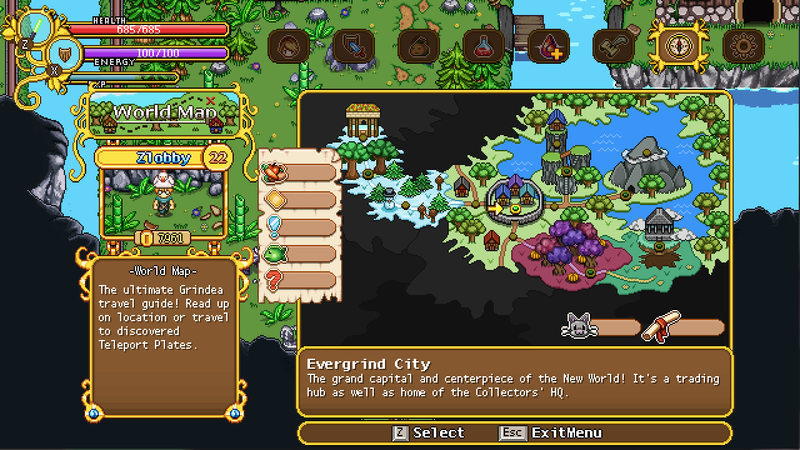 First, a bunch of icons on the left side, indicating (in order) Enemy drops, Cards, Quests, Fishes and Secrets. Next to these icons will be a counter showing how many you’ve got vs how many there are (for example 06/10). These numbers are map specific and will change depending on which part of the map you’re hovering over. The second part is the pet and map counter in the lower right corner of the map, indicating how many pets and maps you’ve found vs hos many there are. These are global and will show the same number regardless of which area you’ve currently selected. First of all, it’s time to rebuild some of the puzzle pieces that make up the world map. These will be changed further as we go along and add the desert map & the maps past it. But first things first! This time, it’s the upper left corner that has been adjusted. Next, time to take a look at what happens beneath those puzzle pieces… Previously, we hadn’t added the ancient ruins above the western Evergrind fields, so there was no need to include it on the world map. Now that it’s been implemented, no more excuses! We also expanded the size of the winter area a bit in the process, filling out some empty spaces and making sure the ruins don’t look too big compared to their size in the game. It’s always fun painting broken glass and vases, so I got to have some fun with this! Also had to split the table in two, so the flashback orb can be placed in the middle, showing everyone around the table!